We know exercise is good for us. It makes our bodies and our minds work better. But did you know staying active into your 70's can actually take off 30 years from your "biological" clock! That according to research published in the Journal of Applied Physiology, by a team of academics from Ball State University in Indiana (David Letterman's Alma Mater!). The researchers studied a group of 28 older men and women who started exercising during the early fitness boom of the 1970's and maintained their level of physical activity ever since. None of them competed in triathlons, marathons or Mr. Olympia's, since the 70's, if at all. They compared the older adults to a group of younger adults in their 20's, and a group of non-exercising peers. ‘We were very interested in people who had started exercising during the running and exercise booms of the 1970s,’ Scott Trappe, professor of exercise science and the study’s senior author, said. The study focused on the cardiovascular system and muscles, as they are associated with age decline. The expectation was to find the youngest adults being the best fit, followed by the active older adults and then the inactive older adults. It didn't quite turn out that way. All subjects were tested in the lab for aerobic capacities, and number of capillaries and levels of certain enzymes in the muscle were measured using tissue samples; high numbers for each indicate muscular health. The muscles, capillaries and enzymes of the exercising older adults were similar to those of the younger cohort. 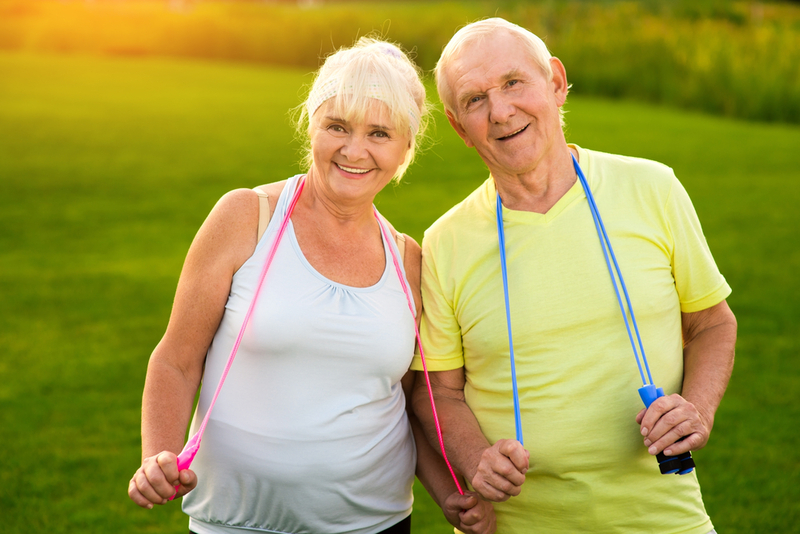 However, while their aerobic capacities were lower than the younger folks, they were 40% greater than the group of older adults who did not exercise regularly. When compared to the national averages, they had the cardiovascular health of someone 30 years younger. So what's the big deal? Well, while we thought age related cardiovascular and muscular decline was inevitable, it actually may not be. Getting into the habit of regular aerobic and anaerobic exercise, from an early age, can have an anti-aging effect on your body - kind of like keeping it in a time capsule. The other great piece of news. There is no one routine that will make you fit. Do what you like. Just do it often, over the long term and work up a sweat. Exercise is the key to longevity! While heading to the gym for 50 years straight might seem like a daunting, if not impossible, commitment, staying active on a week to week basis, doing the things you love, over 5 decades might be much more achievable. For example, you could run, play basketball, ski, walk, bike, garden, mountain bike, cross country ski, hike, swim, dance, go to aerobics class, play tennis, play golf, play hockey, etc... Carpe Diem!